Facebook bounty hunter Laxman Muthiyah from India has recently discovered his third bug of this year in the widely popular social network website that just made a new record by touching 1 Billion users in a single day. At the beginning of the year, Laxman discovered a serious flaw in Facebook graphs that allowed him to view or probably delete others photo album on Facebook, even without having authentication. Just after a month, Laxman uncovered another critical vulnerability in the social network platform that resided in the Facebook Photo Sync feature, that automatically uploads photos from your mobile device to a private Facebook album, which isn’t visible to any of your Facebook friends or other Facebook users. However, the flaw discovered by Laxman could allowed any third-party app to access and steal your personal photographs from the hidden Facebook Photo Sync album. Now, the latest bug in Laxman's list could allow attackers to take over control of your Facebook pages. This time Laxman has found an issue with the "Facebook business pages" that are not specific to a single user account, but instead represent a business and are usually managed by a number of users. However, Laxman could allow third-party apps to take complete control of a Facebook business page with limited permissions, possibly making the victim permanently lose administrator access to the page. 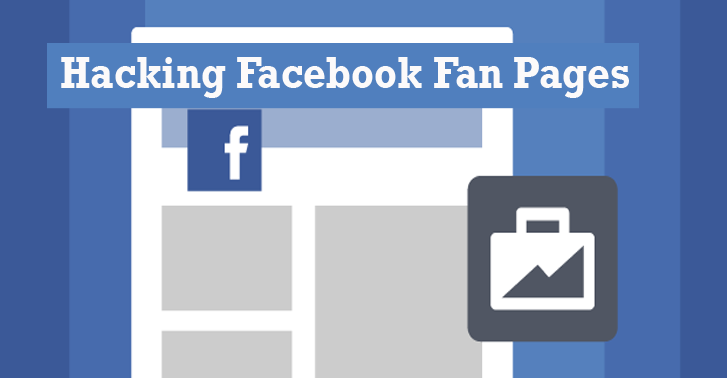 Third party Facebook applications are capable of performing all sets of operations, including post status on your behalf, publishing photos, and other tasks, but Facebook doesn't allow them to add or modify page admin roles. Facebook allows a page administrator to assign different roles to different people in the organisation through manage_pages, a special access permission requested by third-party apps. However, according to Laxman, an attacker can use a simple string of requests in an attempt to make himself as admin of the particular Facebook page. This means these small changes in the request parameters could allow an attacker to gain complete control over your Facebook page. Though the social network has now fixed the loophole, you must always be aware of the permissions you grant to any third-party applications.